Ross, we just wanted to let you know how impressed we were from day 1 with your professionalism. Having sold our house in less than 2 days, for more than the list price, well that just goes to show how well you excel at your job!!! It has been a pleasure working with you, and when the need comes up again, we will definitely be in touch! Ross was wonderful to work with during our experience. He was very knowledgeable about the area we wanted and was always prompt in responding to out requests. We finally found a home that we loved and could not have done it without Ross’s expertise. We have recommended Ross to our friends and family and will continue to do so. We have been using Ross Aitken as our realtor for 10 years now. His professionalism, knowledge of the market, along with his suggestions on how to show our house not only impressed us, it resulted in a quick sale for asking price!! We are very happy, lifetime, clients!! Having purchased 3 houses and sold 2 through Ross, we have no doubts about his experience, knowledge, and professionalism. He keeps us informed and up to date on the properties in our search area and competition when selling. Knowing exactly what we want and being able to show us the best homes, is one of his tricks! He comes prepared for showings and has no problems "getting his hands dirty" as we view and as we list; Ross knows what he's looking for and how to find it. He is well connected to the market and was able to refer us on to trade professionals as needed. 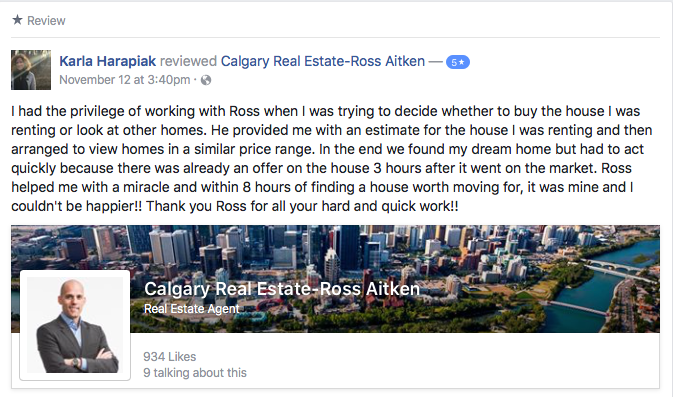 Ross's honesty is one of the attributes appreciated most, not many Realtors will tell us to walk away when a property doesn't meet our expectations, or his. To say that we were pleased with Ross does not even begin cover it. We will continue to access Ross's expertise as the need arises in the future and will continue recommending him to our family and friends. Thanks Ross, you made the search and sell process as painless and enjoyable as possible! I have enjoyed working with Ross Aitken on the sale of our condo in West Hillhurst. Ross was responsive to our needs, pro-active in marketing the property, and he provided great feedback from showings and from his analysis of market trends generally. He is a pleasure to work with. 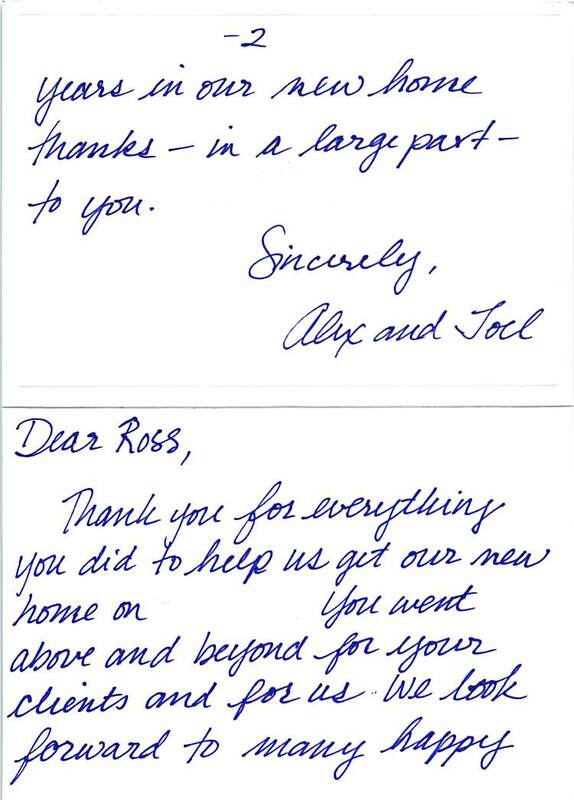 Ross represented me in the selling of my old home and helped me find and close on what has become my dream home. I was very pleased with the level of service Ross provided and I benefited both financially and mentally (in terms of reduced stress) from Ross' keen awareness of the real estate markets and his genuine business sense. During the sale process there was timing uncertainty on my end resulting from some delicate personal circumstances. 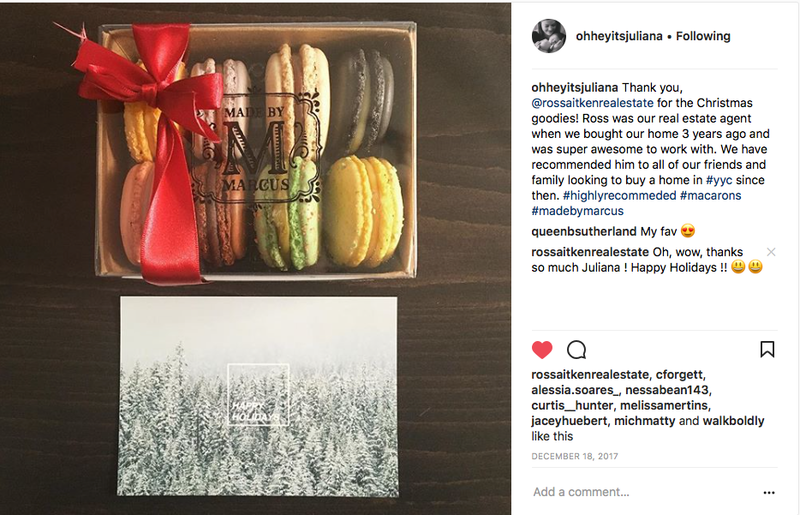 In a very sensitive, professional manner, Ross instilled a sense of urgency around the marketing of my home which allowed us to take advantage of a sale window that, as it turned out, wasn't there for long. Once we shifted into buying mode, we started having some fun!! The strategy around the homes Ross took me to was perfect - we saw a variety of homes that showed the differences resulting from moving from one price point to the next and by the time I had made my decision, I was certain it was the right one. 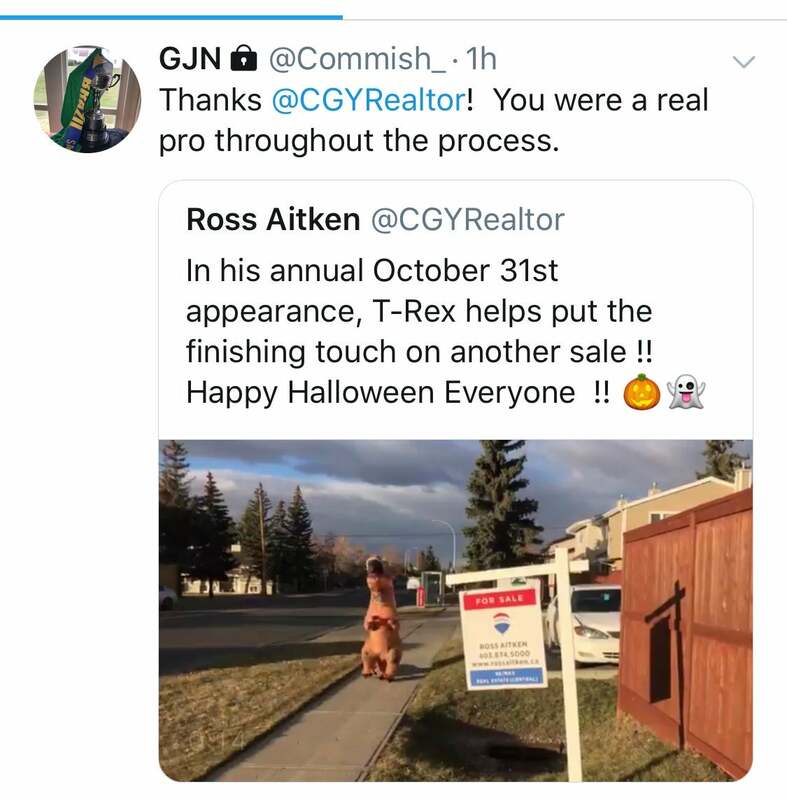 I would recommend Ross without hesitation to anyone looking to buy or sell a home - thanks Ross, you made what could have been difficult, a lot of fun!!! Being a first time home-buyer, I was a little nervous about the process from the beginning. From the moment I met Ross and started looking at properties, I felt a lot more comfortable. Ross is a friendly, enthusiastic, realtor, and was easy to work with right from the start. He ensured that he took the time to get to know me and what I wanted in a first property. As we looked at properties, he was always willing to look at all the options I suggested, and took the time to find similar properties that might be of interest to me and look at those as well. He showed me as many different options as possible and give me an honest opinion on each and every one. His knowledge of the values of property and the selling features, as well as his knowledge of what was important to me, made my first experience buying a home much easier. After a few weeks, and many properties looked at, I found the one that was right for me, and Ross guided me through the whole process of making an offer, counter-offers, and all the legal and technical aspects of being a home-owner. I am now moved in and settled in my new condo and couldn't be happier. I couldn't have done this without all the help and guidance that Ross provided. Thanks Ross, for your professionalism, your positive attitude, and your willingness to help in any way possible! "Being new to Calgary, I was a bit apprehensive about entering a real estate market that I knew very little about. From our first meeting, Ross went out of his way to address my concerns, answer my numerous questions about different communities and help focus my search. I never felt any pressure to make a decision that I wasn't completely comfortable with. Once my decision was made, Ross was organized and supportive through every stage of my experience; from offer to purchase and finally possession. Now I know how smoothly things can go when you have a knowledgeable realtor working for you."